Central Bank of India Recruitment 2019 Free Job alert for both Fresher and Experienced Candidates updated on April 26, 2019. Get Direct Official Link for applying Central Bank of India Recruitment 2019 along with current Central Bank of India Recruitment official Notification 2019 here. Find all recent Central Bank of India Vacancy 2019 across India and check all latest Central Bank of India 2019 job openings instantly here, Know upcoming Central Bank of India Recruitment 2019 immediately here. Central Bank of India Recruitment 2019-20: Apply Online for 3 Attender/ Sub-Staff, Faculty, Office Assistant Vacancies in Central Bank of India Recruitment 2019-20 in Mumbai. New recruitment Jobs 2019-20 notification centralbankofindia.co.in published for the post Incharge FLC in Central Bank of India Recruitment 2019-20 read complete details before applying. One Vacancy in Central Bank of India Notification for the post Financial Literacy Centre Counsellor. Central Bank of India recently released advertisement regarding Attender/ Sub-Staff, Faculty, Office Assistant recruitment 2019, last date for application submission is 06-05-2019. Central Bank of India recently released advertisement regarding Incharge FLC recruitment 2019, last date for application submission is 06-05-2019. Central Bank of India recently released advertisement regarding Financial Literacy Centre Counsellor recruitment 2019, last date for application submission is 27-04-2019. Central Bank of India has announced recruitment notification for the post Faculty eligible candidates can submit their application before 25-04-2019. Central Bank of India has announced recruitment notification for the post Faculty eligible candidates can submit their application before 18-04-2019. Central Bank of India has announced recruitment notification for the post Office Assistant, Incharge FLCC eligible candidates can submit their application before 20-04-2019. Central Bank of India has announced recruitment notification for the post Director eligible candidates can submit their application before 15-04-2019. Central Bank of India has announced recruitment notification for the post Director eligible candidates can submit their application before 08-04-2019. Central Bank of India has announced recruitment notification for the post Counselor FLCC eligible candidates can submit their application before 05-04-2019. Central Bank of India has announced recruitment notification for the post Director RSETI eligible candidates can submit their application before 01-04-2019. Central Bank of India has announced recruitment notification for the post Counselor eligible candidates can submit their application before 02-04-2019. Central Bank of India has announced recruitment notification for the post Counselor eligible candidates can submit their application before 30-03-2019. Central Bank of India has announced recruitment notification for the post Director RSETI eligible candidates can submit their application before 25-03-2019. Central Bank of India has announced recruitment notification for the post Director eligible candidates can submit their application before 12-03-2019. Central Bank of India has announced recruitment notification for the post Director eligible candidates can submit their application before 19-03-2019. Central Bank of India has announced recruitment notification for the post Director eligible candidates can submit their application before 15-03-2019. Central Bank of India has announced recruitment notification for the post Faculty eligible candidates can submit their application before 09-03-2019. Central Bank of India has announced recruitment notification for the post Office Assistant eligible candidates can submit their application before 18-02-2019. Central Bank of India (CBI) is a government-owned bank, is one of the oldest and largest commercial banks in India. It is based in Mumbai. Established in 1911, Central Bank of India was the first Indian commercial bank which was wholly owned and managed by Indians. The establishment of the Bank was the ultimate realization of the dream of Sir Sorabji Pochkhanawala, founder of the Bank. Sir Pherozesha Mehta was the first Chairman of a truly 'Swadeshi Bank'. The bank has 4600 branches and 4 extension counters across 27 Indian states and three Union Territories. Central Bank of India has approached the Reserve Bank of India (RBI) for permission to open representative offices in five more locations - Singapore, Dubai, Doha and London. Central Bank of India (CBI) recruitment comes up with latest recruitment details for various positions like Probationary Officer (PO), Specialist Officer (SO), Manager and Clerk post etc. Check below for upcoming Central Bank of India Job details in India. 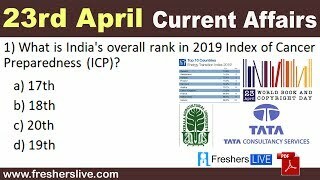 Why Fresherslive for Central Bank of India Recruitment 2019 Free Job Alert? FreshersLive is the one stop place for Central Bank of India notification across various sectors and industries within India. Fresherslive ensures that all the Jobs get notified to all our visitors. We ensure that none of the Jobs get missed out in our website. We help both fresher and experienced graduates to get recruitment notification on recent Central Bank of India recruitment 2019 openings across India. FreshersLive is a leading job website for all Government job recruitment notification. This page is an exclusive page for the Latest recruitment notification from Central Bank of India Central Bank of India 2019. FreshersLive team ensures to present all the recruitment notification and job openings from Central Bank of India Central Bank of India in this exclusive recruitment page for Central Bank of India Central Bank of India. This page contains all the active and recently expired job openings and recruitment notification from Central Bank of India Central Bank of India 2019. Central Bank of India (CBI) was first Indian commercial bank which was owned and managed by Indians, established in 1911 and headquarters in Mumbai India. Central bank of India provides recruitment process for Specialist Officer (SO), Probationary Officer (PO), General Manager (GM), Secretary, Clerk, Security Officers, Manager, Scale I Officer and Manager, Scale II Officer and Manager, Peon and other vacancy post. FreshersLive is a leading bank job notification from Central Bank of India and listed recent and upcoming jobs details in this page. The page contains latest recruitment process like Job Details, Interview Dates, Job Location, Online Application Form, Fee Details, Eligibility, Qualifications and Job Notifications from Central Bank of India. CBI (Central bank Of India) comes up with recruitment drive details across different time once in a year. Get all latest Central Bank of India recruitment notification which is currently active from all banking jobs available here at FreshersLive.com . Central Bank of India is available in major cities across India. CBI handles recruitment separately for various posts under each state across india. 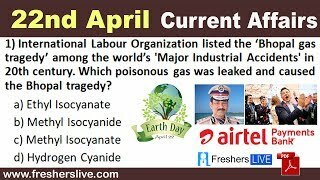 CBI is available in the following states - Andaman & Nicobar, Andhra Pradesh, Arunachal Pradesh, Assam, Bihar, Chandigarh, Chhattisgarh, Dadra & Nagar Haveli, Delhi, Goa, Gujarat, Haryana, Himachal Pradesh, Jammu & Kashmir, Jharkhand, Karnataka, Kerala, Madhya Pradesh, Maharashtra, Manipur, Meghalaya, Mizoram, Nagaland, New Delhi, Orissa, Pondicherry, Punjab, Rajasthan, Sikkim, Tamil Nadu, Telangana, Tripura, Uttar Pradesh, Uttarakhand, West Bengal. This Central Bank of India page contains all the current and upcoming CBI recruitment notifications for 2019 across all its locations in India. 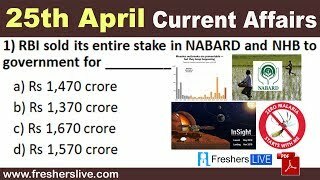 Here you can search for latest centralbankofindia.co.in Recruitment 2019, Jobs in India, online application, employment jobs alert, centralbankofindia.co.in recruitment 2019 openings across India, exam result, vacancies 2019, centralbankofindia.co.in recruitment notification etc. Apply for Latest Central Bank of India Recruitment 2019: Here you can find all Latest Central Bank of India Jobs alert. Please read the provided information such as educational qualification, application fees, selection procedure etc. carefully before applying for the job. Subscribe to Central Bank of India Jobs and get recruitment notifications on Apprentices vacancies across India through Fresherslive.com. In this page, you can explore the many exciting Job Opportunities on Central Bank of India recruitment 2019. Latest and also upcoming Notifications on Central Bank of India recruitment are updated in this page immediately. So keep checking this page frequently, to know the recent as well as forthcoming Central Bank of India Jobs. This is the right place for you to gather all the essential information to apply for recent Central Bank of India vacancies. Fresherslive grants you numerous information like Job description, Total vacancy, Eligibility criteria, Salary, Educational qualification, Job Locations, Application procedure, Application fees, Selection procedure, Last Date for application, Interview Dates of Central Bank of India recruitment 2019. Links for Central Bank of India Official Notification, Online Application Form is provided in this page itself, which paves you to apply for the Central Bank of India Jobs in an easiest way. Moreover furthermore you can discover many Similar Jobs in Top Companies in this page itself. 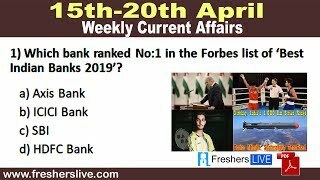 What's more at Fresherslive for Central Bank of India Recruitment 2019? In order to get enrolled in Central Bank of India recruitment drive, Fresherslive will help you with its resources like placement papers, Aptitude skill test, Interview questions and answers, Current Affairs, etc. So make use of it and clench your dream Company Job. Rojgar samachar on Central Bank of India's latest recruitment are updated in Fresherslive daily. Don't miss this fruitful opportunity. To know immediately about the Central Bank of India Jobs 2019 and vacancies which are to be announced in the near future, you can subscribe to our Fresherslive Free Job Alert to your Email. Surely you can get instant alerts related to upcoming Central Bank of India recruitment 2019. The future depends on what you do today. Grow with the world of opportunities @ Fresherslive. Best wishes for all your future endeavors.